The Orleans Parish Sheriff's Office has entered into an agreement to ensure that young people in OJC receive more educational services, including access to diploma track course work. 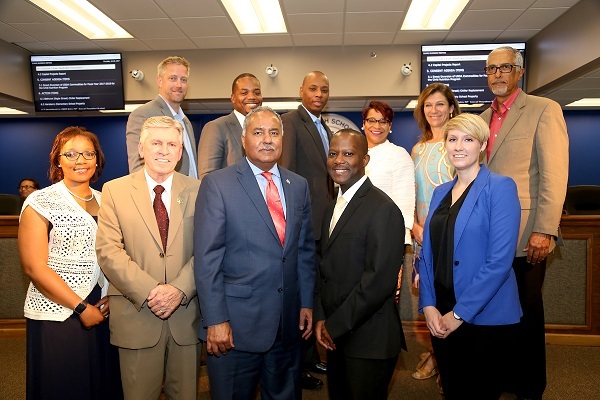 Joining the Sheriff's Office in this endeavor are the Orleans Parish School Board (OPSB) and the Center for Educational Excellence in Alternative Settings (CEEAS). Sheriff Marlin Gusman said, "We have been working for months to launch this significant expansion of educational services at the OJC. This collaboration is part of our commitment to provide public safety and service to the citizens of Orleans Parish. As part of that commitment, we want to provide the best possible educational experience to school eligible inmates in our care." Compliance Director Gary Maynard said, "Our vision for the OJC is to be recognized as the model Direct Supervision jail in the country, and we feel the strength of this education program will play a large part in our realizing our vision." Under the agreement, CEEAS is responsible for providing educational services to juveniles in custody and those ages 18-23. When the OPSB school year begins on Aug. 21, eligible inmates will be in class Monday through Friday, for six hours a day. CEEAS will collaborate with OPSB to ensure that students who exit the program receive transition services and that their student records are transferred to their next school setting.